Sometimes, a simple filling is not enough to repair a decayed or damaged tooth. A traditional crown or fixed bridge may provide a suitable solution for more significant restorative needs. 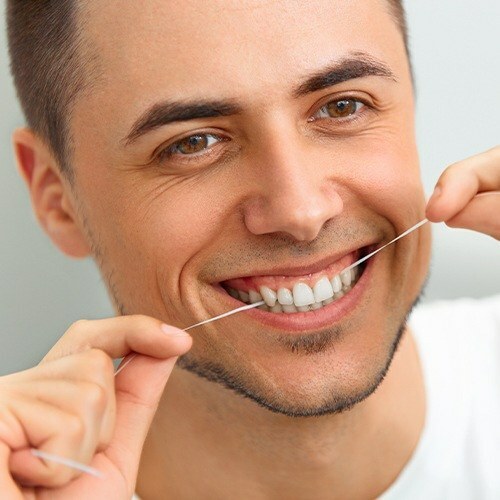 Keep reading to learn more about bridges and dental crowns in Arlington Heights from your trusted dentists at Westgate Dental Care. A fixed bridge replaces one or more consecutively missing teeth by forming an actual bridge over the gap in the smile. 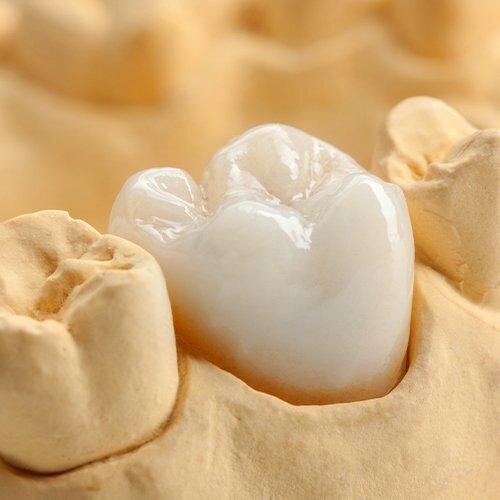 To form a bridge, a dental crown is placed on each natural tooth surrounding the empty space. The pontics (replacement teeth) are attached to the crowns which fill in the gap between. 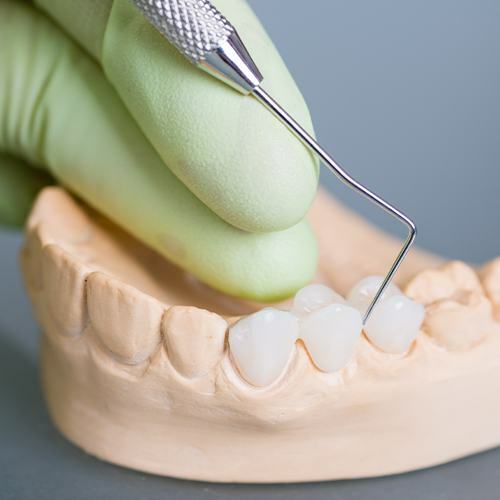 The dental bridge in Arlington Heights is a popular treatment for patients who have lost teeth but are not eligible candidates for dental implants or who do not wish to undergo the treatment for implants. Dental crowns and fixed bridges offer a number of advantages for patients with damaged teeth. First, both are fully customizable to ensure that they match the size, shape, and shade that will suit your smile and unique facial features best. Crowns can rescue a tooth from extraction, protecting your oral and overall health. Dental bridges prevent teeth from drifting out of place and causing alignment issues. 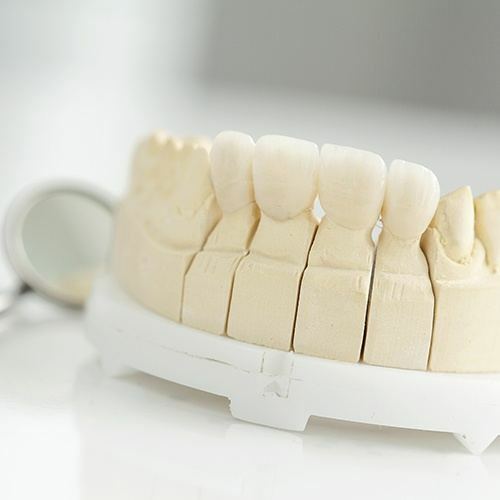 Porcelain restorations are a wonderful option for the teeth that show when you speak and smile, because dental porcelain looks just like your natural tooth enamel. With proper care and maintenance, a successful dental crown or fixed bridge can last for many years. How you care for your dental crown or fixed bridge is important. While the restoration itself cannot develop decay, the teeth around it can -- and the gums are always vulnerable to gum disease. Make sure you brush and floss your teeth regularly. Investing in an electric toothbrush and interdental cleaner or water flosser can help you achieve a more thorough clean. Visit your dentist as recommended for follow-up care and feel confident knowing you are doing the best for your oral health! Schedule an Appointment or Learn More Today! If you have a damaged or aching tooth, or if you are missing teeth in the upper or lower jaw, it’s find out how you can have the issue repaired with a sturdy dental crown or fixed bridge. We invite you to contact the “dentist near me” you’re searching for at Westgate Dental Care! Request an appointment online today.